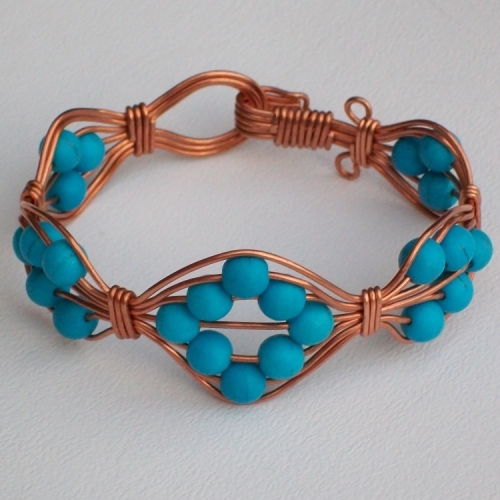 This handmade bracelet is crafted from recycled copper wire with bright turquoise beads forming patterns around the length. 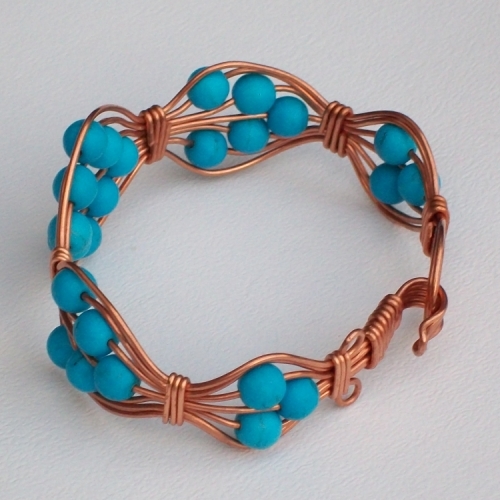 Bracelet fastens with a hook clasp. The bracelet is then finished with a hook clasp. 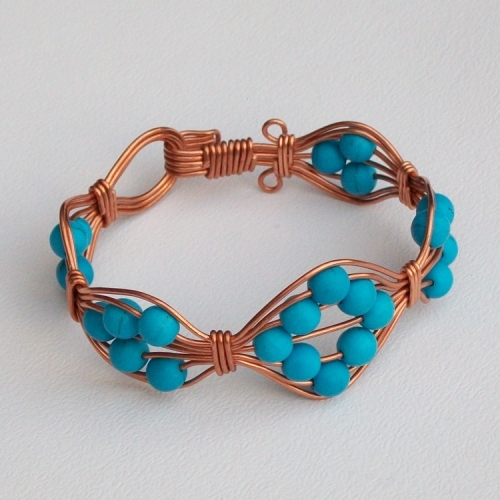 This bracelet is a small fitting measuring 6.5" approx. 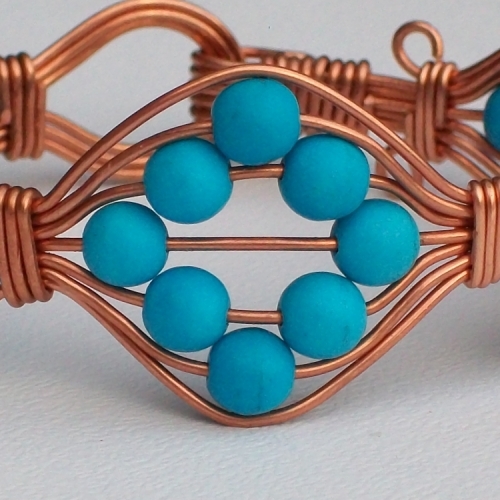 Made using recycled copper wire and 4mm turquoise beads.